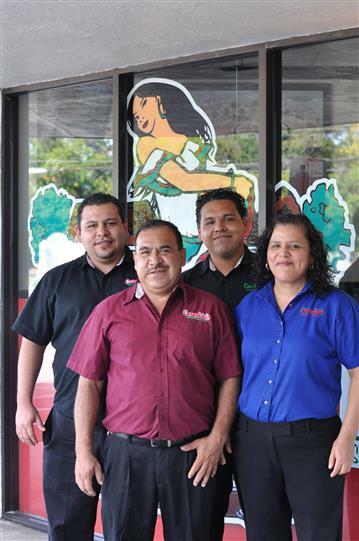 Juan and Maria J. Guzman are the owner’s our 66th Street location. They started working at the original Carmelita’s on Park Street in the early 1980’s. Maria did cooking and prep while Juan worked on the line and doing prep work. They were both very dedicated to the Carmelita family philosophy of making the food as fresh as possible and giving our customers good quality, made from scratch, Mexican food. In 1994, the second Carmelita’s location was opened and Maria was moved to that location and promoted to head cook and Juan was made kitchen manager. With many years of loyal service to the Carmelita family, when it was decided to sell the fourth Carmelita’s location on 66th Street, Juan and Maria were given the opportunity to purchase it. So in 2008, Juan and Maria purchased this location and together with their children, sons Ricardo and Daniel, and daughter Juliete, they are working hard to continue the Carmelita’s tradition.